If you missed the announcement on Friday or in our June Toddler Approved newsletter, I just wanted to make sure you heard about this awesome event that we're hosting with 20+ bloggers this Summer. Typically we host a Virtual Book Club each month and feature just one book. This summer we will be studying several different authors and we will be showcasing loads of new books! Each month we will pick a new author to study as part of our Summer Virtual Book Club! In June we are studying Mo Willems! Comment below and let us know that you are joining in! Pick your favorite book by Mo Willems (or a new one you want to check out) and read it with your child or class. Create an activity, project, craft, cooking project, etc. related to the book and do it. Come back and share it with us as part of a big Mo Willems Blog Hop on Monday, June 18th! You can go to this link and you'll find the blog hop and our silly Mo Willems ball activity too. Swing by these other fabulous blogs that are participating to check out their awesome posts as well! Feel free to add our June Book Club button to your post if you are joining in this month!! Just copy the html code in the box and add it to your blog post. What a fun idea! Count me in! Joining the book club...just so happens we have been grabbing a bunch of his books this week. I am excited to be joining in this! Look forward to new autors for my son and me! Joining in the fun - cant wait to share and get ideas for me and my girls. Thanks! We love Mo Willems! Excited to share and get great ideas for my girls. Thanks! Joining in! I can't wait to check out some new books/activities with my little one. Can't wait to share. I would love to join this as a former teacher and grandmother of 2 boys. My centre counts Mo Willems as being one of, if our very, favourite kids author of all time! We even celebrate Mo Willems Week in February (the 11th is his birthday, I believe)! We're always looking for new ideas, crafts, etc etc! Thanks so much! I can't figure out how to link from this site to my own! Oops! I'm just not as technologically savvy as I thought! 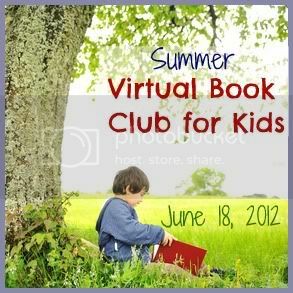 The link is http://puddlesandmud.blogspot.ca/2012/06/summer-virtual-book-club-for-kids.html, if you'd like to check out the Mo Willems ideas! Cheers! Christy- thanks for stopping by! I just added your link to the linky at the bottom of today's link up post. http://www.toddlerapproved.com/2012/06/mo-willems-summer-virtual-book-club.html So many fun ideas. Thanks for sharing! I am late, but we just participated for June and plan to join in for the rest of the summer, too! 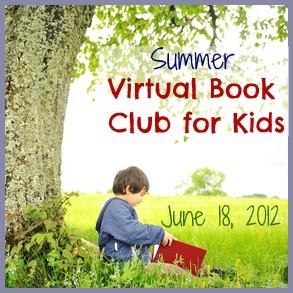 http://www.stillplayingschool.com/2012/06/summer-virtual-book-club-june.html Thank you!!! When will you share the July book? I'd love to participate. Is there also a discussion of this on KBN? I'd love if you ladies would consider making it a monthly "event" over there! It is such a cool idea. How to join the book club?